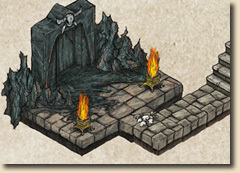 The June issue of the Annual 2012 brings you a beautiful new drawing style by Herwin Wielink: Isometric Dungeons. 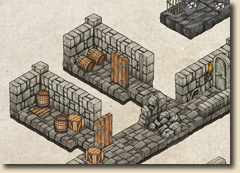 The symbols for this style snap together easily on a pre-defined grid for amazing 3D views of your dungeons. Herwin Wielink has outdone himself on the beauty of the individual symbol pieces for this style. Look for more of his work in upcoming CC3 products!